The Holy Shits (aka Foo Fighters) and Chevy Metal Rock L.A.
Last Sunday at the Hollywood Palladium in Los Angeles, there was a free outdoor concert to promote Cal Jam ’18, which will happen October 5th and 6th at Glen Helen Amphitheater in San Bernardino, California. It was highly likely, however, that the festival’s headliner, Foo Fighters, just wanted to have some fun playing a show for their fans, first in the form of Taylor Hawkins’ band Chevy Metal, and then as The Holy Shits, a moniker the Foo Fighters use for these surprise shows. 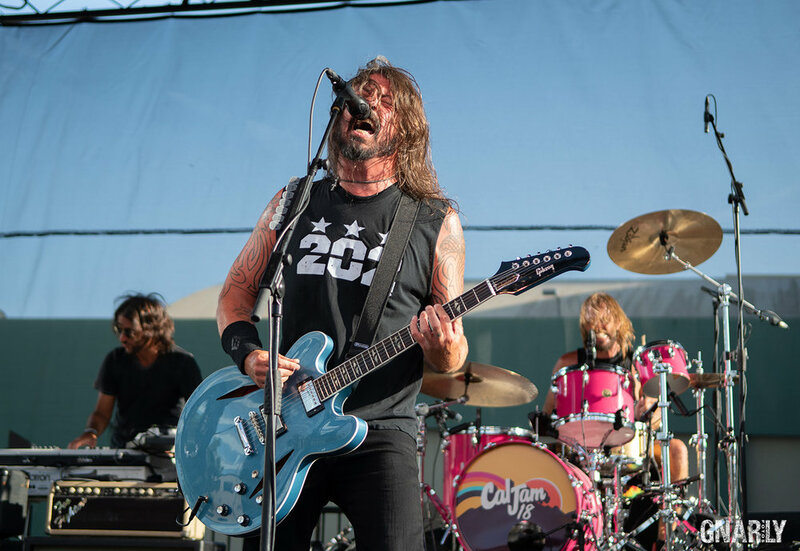 The Holy Shits (aka Foo Fighters) delivered a set of deep cuts from their catalog, that included “Watershed,” “Gimme Stitches,” “Hey, Johnny Park,” and “New Way Home.” In keeping with tradition, “Everlong” closed the show.